modification and I have resisted the temptation of further tuning for a number of reasons. extend the warranty on the engine for a further 12 months, which was generous, but it means I prefer to keep things standard for longer. indecently fast without using full throttle or exceeding 6,000 revs. 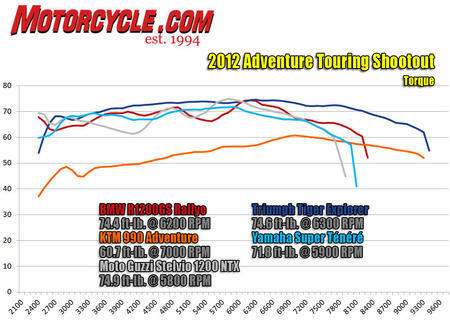 When I ride with other bikes the Explorer never seems underpowered. 4. In the UK we have over 12,000 speed cameras and a national speed limit of 70 mph so I'm not sure what I would use a power increase for. 6th). 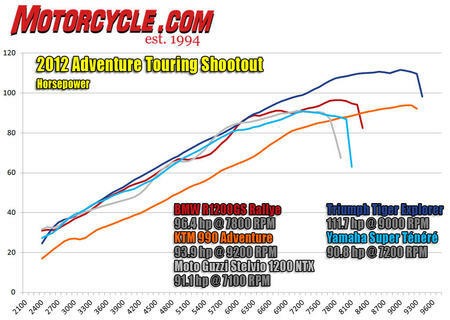 I have ridden the KTM1190 it has too much power, in "Sport" mode the TC intervenes all the time. Maybe I am getting too old. power below 6,000 revs which is where it counts on real roads.